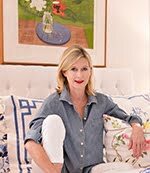 Some wonderful Chinoiserie design ideas from the New York design firm of White Webb. 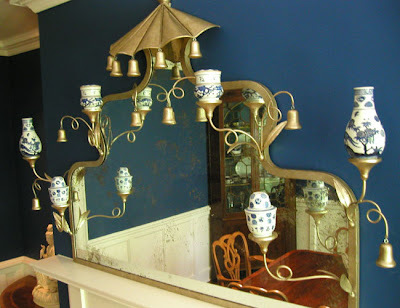 Above, a custom designed over the mantle mirror with a collection of blue and white Chinese porcelain. 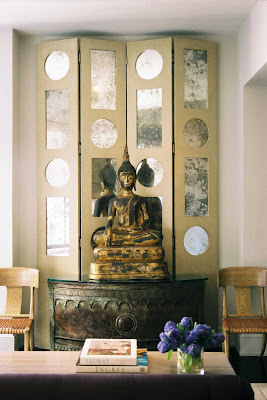 Below, a custom screen with antiqued mirrors behind an antique Buddha. 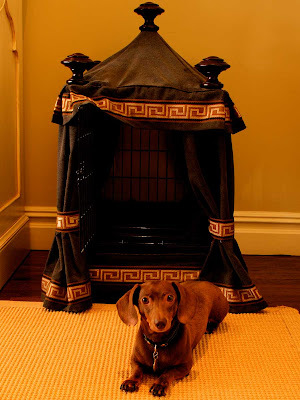 A pagoda dog bed with Greek key trim. 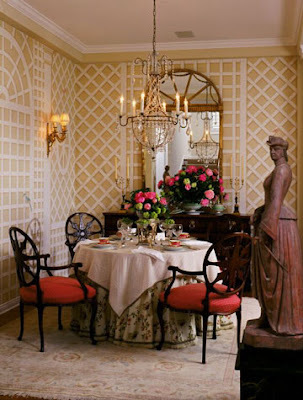 A black lacquered Chinoiserie credenza gives weight to this traditional room of watermelon and celadon. 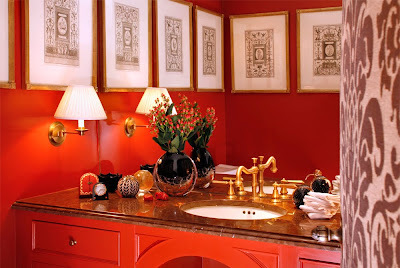 Red lacquer turns this media room and this bathroom into dramatic spaces. That's why they call it "eye candy"! Love it. 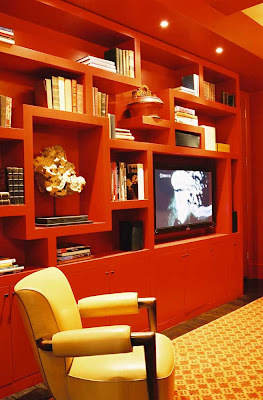 Love the treatment of the shelves in the media room! The mantle mirror with blue and while porcelain is wonderful!! How do you keep coming up with such consistently perfect posts? LOL! That second screen is phenomenal. 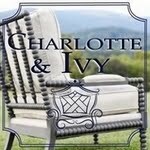 Love it paired with the antique Buddha and bureau. Great eye candy! 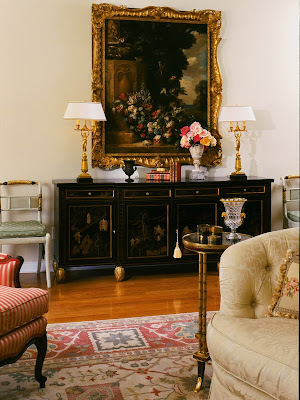 the black sideboard is very elegant. That over-the-mantle mirror is beyond striking! Those treillage walls are to die for. 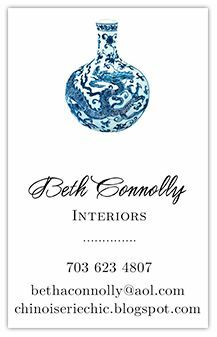 Have a great weekend, Beth! Theresa-Thanks so much for your lovely comment. Michele-A perfect backdrop for the Buddha. Lady Jicky-It really anchors the room. Averill-I can't stop thinking about the mirror. 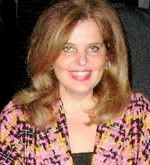 Anne-I have a post soon on more treillage-have a great weekend.